The best way to use retro elements is to pair them with something contemporary. The rainbow flower on the side of this badge is an excellent example of this effect, and it adds a vibrant touch without straying too far from the graphic's vintage vibe. A polka dot background contributes to the traditional look. 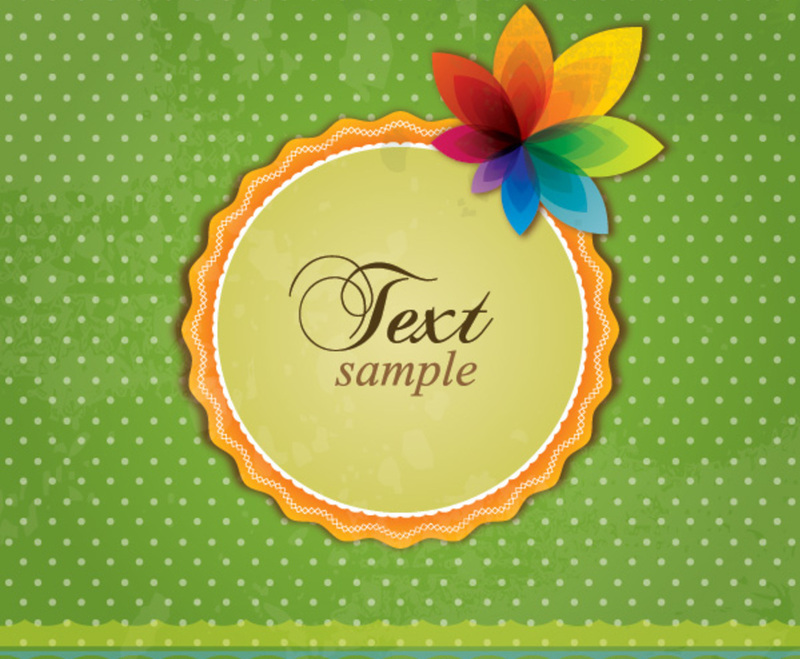 Meanwhile, the badge in the center of the image displays its text with a flourish; a lace frame runs around the outside of the circle, elegantly framing the message. With its colorful accents and distinct retro style, this image strikes a great balance.